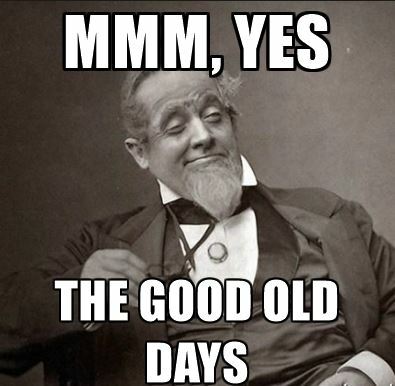 Were the ‘Good Old Days,’ Really That Good? Donald Trump presidency…………….D +… Eighty something days! Our small Midwestern town had a drug store that had a soda fountain. During my youth, a cherry coke could be purchased for 5 cents. A Snickers bar was 5 cents. There was a marshmallow/chocolate candy bar called Valomilk. It also cost 5 cents, but it had a gimmick. Inside each wrapper was a small cardboard disk. Once you collected 30 cardboard disks, you sent them to the manufacturer for ten free Valomilks! Wow! So, in about a ten day time span, I purchased and ate thirty Valomilks. Yes….I ate them all myself because I was in my non-sharing, bratty stage of child development. (I was also hyperactive from all that damn sugar!) About two weeks later, I received ten free Valomilks delivered in a round cardboard sleeve. I was in hog heaven! And….I thought I beat the system. I figured that if I got ten free Valomilks with the little cardboard disk inside, I would only have to purchase twenty more Valomilks to get the ten free Valomilks again. It was my nine year old mind’s version of a ponzi scheme regarding candy bars. But, alas, the manufacturer outsmarted me. There were no cardboard disks in the ten free Valomilks. I only did that promotion once, as I really liked a Snickers better. I also bought the one and only bike I owned until I was over 40 years old from that hardware store. Purchasing it was simple. You picked the one you liked from the 12-15 available boys bikes. That large selection was only available during the spring. If you waited, you bought your bike from the remaining dregs because they did not restock until the following spring. Mine was a pretty red and white bike with the conventional one speed. That one speed being that the faster you peddled, the faster you would go. If you could afford a three speed bike, you were not only rich, but you would be branded a sissy.! Grandma P never did have a bicycle. Her family of six could not afford them. She got her first bicycle when she was 64 years old. Even though she knew how to ride, it was terrifying for her to start riding again. Now she enjoys riding her bicycle and she rides it with confidence. Our oldest grandson would be surprised about Grandma P never owning a bike. He got into BMX racing and owns seven bikes! A trip to the local A&W was simple, easy and inexpensive. A small root beer cost 5 cents. A large root beer was a dime. A hamburger was a quarter and french fries were an additional 15 cents. More importantly, the food was brought to you by a beautiful female carhop. The owner of the A&W hired all the cheerleaders during the summer to be his carhops! Not surprisingly, he sold hundreds of gallons of root beer every year! The small cone at the local Dairy Queen cost 5 cents. They had a jumbo cone that cost a quarter, but you really had to like ice cream to be able to finish that cone. A malted milk cost a quarter and there were many available flavors. My favorite was blueberry and sometimes an occasional strawberry. They were delicious. Occasionally, in order to diversify my calorie laden diet, I would order a sundae rather than a malt. This also cost a quarter. My two favorite sundaes were either butterscotch or hot fudge with nuts. Because our small town was 60 miles from a major city, our choices for radio channels were rather limited. We had two AM stations that played rock and roll that we were able to receive on our AM only radios. Our cars only had AM radios. It was much later before FM made an appearance in our community. People owning FM radios were either listening to classical music or to PBS offerings. But for us youngsters, AM rock and roll was our choice and where it was at! So why am I writing about all this stuff concerning the good old days? Firstly, I hope that sometime in the future, my grandkids will actually read my blog. Secondly, and more importantly, I do believe life was much more simple during the post WWII years than they are today. This is especially true when it comes to television media and its hundreds of channels. Did you notice that I began this blog with the ‘Donald Trump presidency……D+ eighty something days.’ Have you followed all the 24/7 news channels that are headlining the following: Donald Trump, the First 100 days? The one thing I miss about the good old days was that after a spirited and tiring presidential election….everything seemed to quiet down as the new president was getting acclimated to his new position and to his new cabinet. The media took a break. Not any more! Do any of you baby boomers remember any other POTUS getting the following and the scrutiny of this President as soon as he took the oath of office? What happens when the hundredth day arrives? Is the newest headline going to be: Donald Trump presidency….the second hundred days? The first year? The second year? Do they realize that his term is over 1460 days? I have watched more White House press conferences since Trump became POTUS than I have for my entire life. Can’t they hold two a week instead of every day? What would the liberal biased television media report if they did not have Donald Trump? What acting job would Alec Baldwin have if he could not lampoon Donald Trump on Saturday Night Live? These are almost important issues. Oh well, the good old days are long gone. I think I will eat my $1.49 Snickers and my $5.00 hamburger. I’m on my diet so I will have to pass on the $3.50 malted milk. Tomorrow is Easter. Never forget the purpose of the holiday. Much was sacrificed for our salvation. God bless. This entry was posted in Common Sense, Common Sense Solutions, Growing Up in America 65 Years Ago, Political Insight, Political Opinion, Politics and tagged 24/7 news channels, baby boomers, biased media, Donald Trump, good old days, growing up in a small town, growing up in the 50s, growing up in the Midwest, Media Bias, television news on April 16, 2017 by Grandpa T.